If you're using the Calxa Online browser app, refer to the Invite a User and Set User Permissions articles instead. 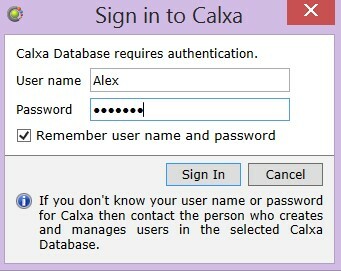 Calxa allows the Administrator in local and network workspaces and the Owner in online workspaces to add new standard users or administrators. They can also set access restrictions for each user at Organisation, Department and Project levels. User access can be set to view reports only, or to view reports and edit budgets. Sign In as Different User (Change User). A Workspace Owner has full control of all resources in the workspace including the ability to add or invite additional Users or Administrators to the Workspace. For a Local or Network Workspace the Owner is the first and default user in the workspace. Generally, the username for this account is ‘Administrator’ but this can be changed. You CANNOT add additional Owners to a local or network workspace. For an Online Workspace the Owner is the Subscription Owner. If the owner of a subscription changes or the workspace is transferred to a different subscription, then the workspace owner will also change. Additional workspace owners can exist if there are additional subscription owners. A workspace Administrator has full access to all features, organisations, business units with editing and reporting permissions. Additionally, Administrators can create new organisations and lock or unlock budget versions where standard users cannot. Administrators are invited into a workspace by an Owner. For a Local or Network Workspace an Administrator can add new users and edit existing user’s permissions. For an Online Workspace an Administrator cannot invite or add new users or edit existing user’s permissions. A workspace standard User has limited access to organisations, business units and features within a workspace. A standard user CANNOT create new organisations and cannot unlock or lock budget versions. When new organisations or business units are added to a workspace, Users will not be granted access to these entities until an Owner or Administrator grants the new permission. In the Select User section, click on the user that you want to set access permissions for. Edit Account Trees: when checked users are able to edit or create account trees on any organisation. Edit Budgets: when checked all budget editing tools including wizards, importing and the edit screen are enabled. 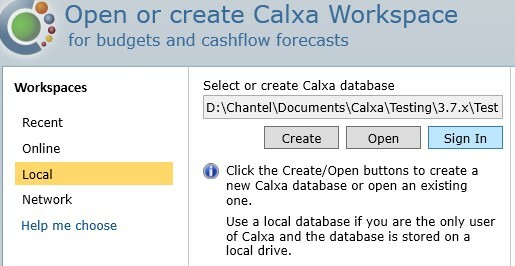 Edit Custom Report Templates: when checked the Calxa report designer is enabled. Edit Financial Settings: when checked all financial setting options including Cashflow Settings, Default Accounts, Statement of Cashflows and Edit KPIs are enabled. Edit Report Bundles: when checked the report bundles can be edited or created. 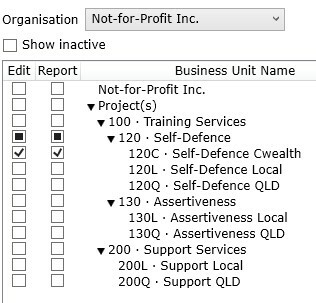 Note: If a user is permitted to edit budgets for a particular business unit they will automatically be allowed to view reports relating to that business unit as well. 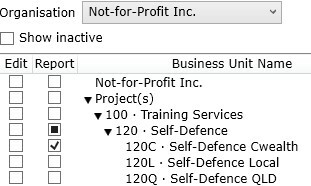 If you select a checkbox adjacent to a header Department or Project, all departments/projects under the header will be selected. Click on the relevant user name in the Select User section and then click the Properties button. Type the desired name in the User Name field and click OK. In an online workspace the username is the email address associated with the user’s profile. To change an email address, the end user must edit their user profile at https://cloud.calxa.com/#/profile/update-email. Click the user name you wish to delete in the Select User section and then click the Delete button. Click Yes to finish. 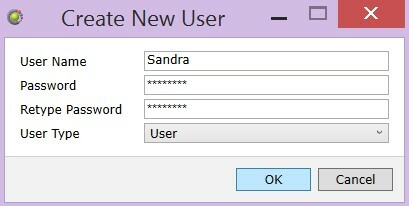 Click on the relevant user name in the Select User section and then click the Change Password button. Type in the new password (or leave blank if desired) and click OK. In an online workspace the password is associated with the user’s online profile. This profile may be associated with multiple workspaces. Only that user may change their password at https://cloud.calxa.com/#/profile/change-password. Alternatively, if a user has forgotten their online password they can reset it at https://cloud.calxa.com/#/account/forgot-password. You will be sent an email with a link to follow to reset it. 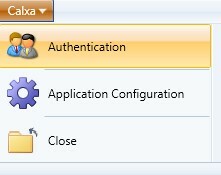 Click on the Calxa button at the top left hand side of the screen and select Authentication. Then select the workspace type from Workspaces. Next enter the User name you wish to sign in with. Enter the password and click Sign In. Note: If you have forgotten your password you can reset it by clicking the Forgot your password link. You will be sent an email with a link to reset it.